14,520 sq. 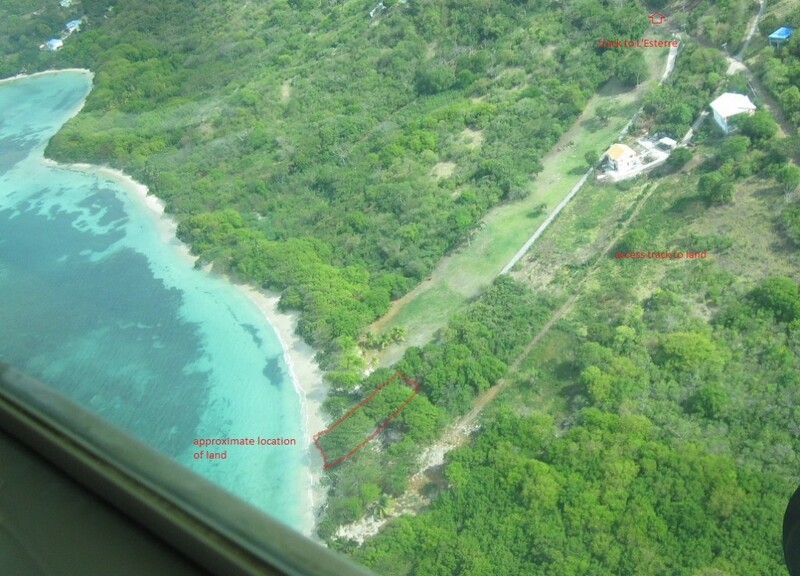 ft beachfront lot in St. Louis, Carriacou | Carriacou Real Estate, Ltd. The land was once part of the St. Louis Estate, and is located just outside the village of L’Esterre some 2.5 miles to the south of the main town of Hillsborough and about 1 mile north of Harvey Vale (See location 13 on Map of Carriacou.) Access is via a dirt track, leading off the Government maintained road at L’Esterre.